Danny lives in Friendship, Arkansas and is married with five children. He received his B.S. in Biology from Henderson State University in 1999 and a M.S. in Geospatial Surveying Engineering from Texas A&M Corpus Christi in 2010. 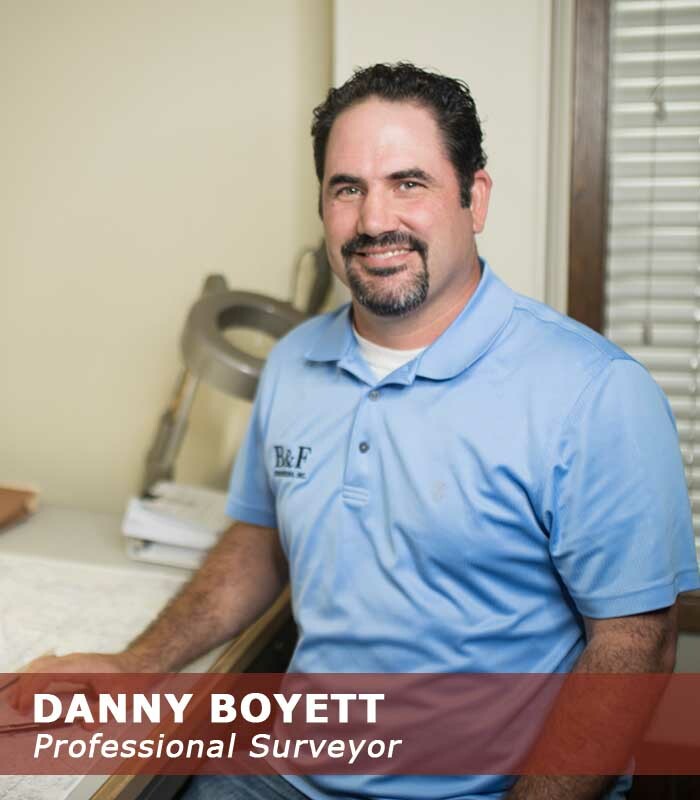 Danny began surveying in 2001 and became a Licensed Surveyor in 2012. He joined our team in 2010. He is a member of the Arkansas Society of Professional Surveyors and the National Society of Professional Surveyors. Danny enjoys the history and analytical aspects of surveying. In his spare time, he enjoys spending time with family and friends and spending time outdoors.